Cloudbridge offers a rich experience in a beautiful and biodiverse part of the world, whether you want to do your own research; contribute to some of our existing, ongoing research projects; or, contribute your existing skills and learn new ones while volunteering. While at the reserve, you’ll meet and work with like-minded people from all over the world, each with a passion for the environment and their own experiences and expertise to share. The volunteer or intern experience gained here often furthers academic or career goals. However, you do not need a background in biology or environmental studies in order to contribute. Whatever your skills are, we can put them to good use! 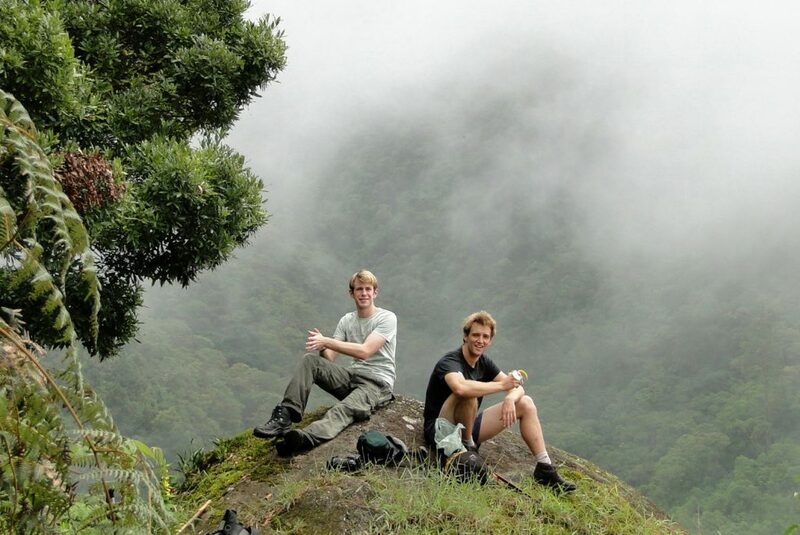 Volunteers taking a break and enjoying the view of the cloudforest from Vulture Rock. Everyone gets hands-on learning around forest recovery and conservation, sees the progress of the plantation, hikes the Reserve’s steep slopes and enjoys the views of the valleys and waterfalls. 100% of your contribution goes directly to cloud forest reforestation, education and protection. Research intern: Contribute to Cloudbridge’s ongoing research program, where you will be assigned to one of our research projects. Independent researcher: Propose and conduct your own research. Investigadores de Costa Rica / Costa Rican Researchers: Alojamiento gratuito para investigadores de Costa Rica. Ver detalles a continuación. 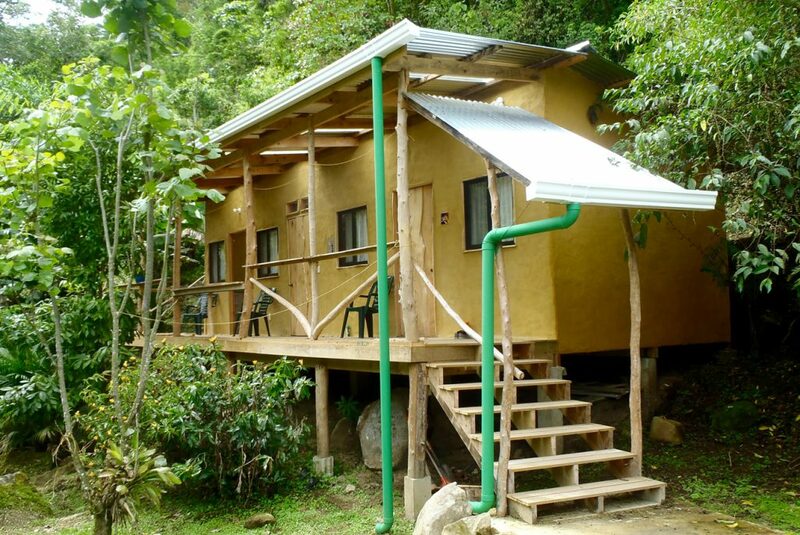 Free accommodation for Costa Rican researchers. See details below. Volunteer: Help the reserve in a variety of ways, according to our needs, and your abilities and interests. This may include planting trees, trail or reserve maintenance, construction projects or assisting tourists. 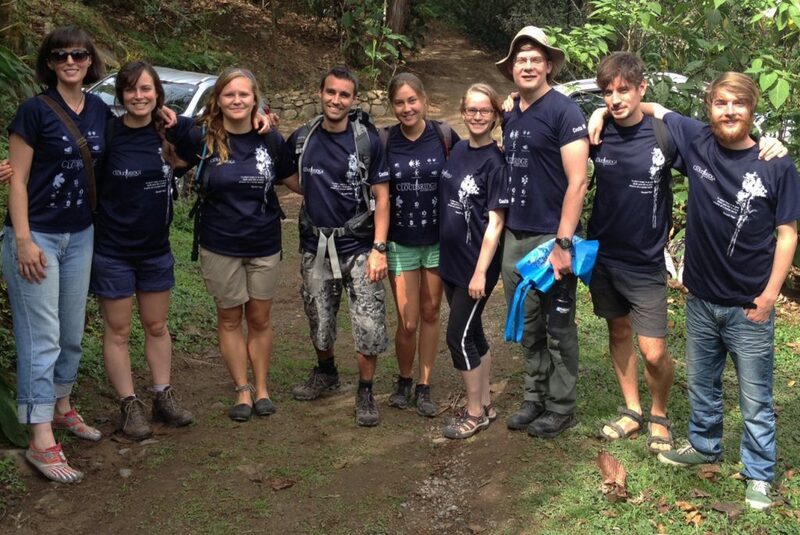 Group Volunteering: Short-term group projects that combine learning about the cloud forest with a service project. See the Education section for more information. Cloudbridge volunteers, independent researchers, and research interns heading out to help the community of San Gerardo de Rivas prepare food for the big Chirripó Race (Carrera Chirripó). Con el fin de apoyar la investigación de Costa Rica, Cloudbridge proporciona espacios dormitorios en un 50% de descuento a ciudadanos costarricenses que deseen venir a Cloudbridge para llevar a cabo investigación . Para aplicar, presenta una propuesta de proyecto que incluye: su nombre, universidad u organización afiliada, las fechas de inicio y termino preferidas , metas y objetivos del estudio y una metodología preliminar. Las propuestas pueden presentarse en español o en inglés. Sin embargo, si la propuesta es presentada en español, por favor incluye un breve resumen en inglés. Para verificar fechas disponibles y para obtener más información, póngase en contacto research@cloudbridge.org. In order to support Costa Rican research, Cloudbridge provides dormitory spaces at a 50% discount to Costa Rican nationals who would like to come to Cloudbridge to conduct research. To apply, submit a project proposal which includes: your name, affiliated university or organization, preferred start and end dates, aims and objectives of the study, and a preliminary methodology. Proposals can be submitted in either Spanish or English. However, if the project proposal is submitted in Spanish, please provide a brief summary in English. To check available dates and to find out more, contact research@cloudbridge.org. Housing is provided at $17 USD per person per day and includes Wi-Fi, hot showers, shared bath, and shared kitchen. For stays less than 30 days, we must charge a Costa Rican tax for temporary accommodation which is an additional $3.00 USD per day. Food costs and cooking are the responsibility of the individual volunteer/researcher, most of whom can eat a basic, mostly vegetarian diet for around $5 USD per day. Most people stay in shared rooms, although some private rooms with queen beds may be available (subject to current occupancy) for an additional fee. Housing fees are paid one month in advance to the Cloudbridge Manager. A $200 “good faith” fee is required prior to being accepted as a volunteer or researcher. This fee will be credited toward your accommodation fees for the last 2 weeks of your stay. The fee is payable through the Donate page. For more information on living at Cloudbridge, see Plan Your Trip. One of the volunteer and researcher dormitories. Cloudbridge welcomes all races, religions, countries of origin, sexual orientations, genders, and abilities. We encourage discussion and sharing of opinions. We celebrate the Costa Rican culture and the cultural diversity of all those representing their home country while here. Harassment and discrimination are not tolerated.